Russian President Vladimir Putin called the construction of a bridge across the Kerch Strait "a historic mission," which could not have been fulfilled during the whole previous century. At a meeting on socio-economic development in Crimea and Sevastopol the president recalled that at first the construction of the bridge was planned back under Nicholas II in 1910, but the First World War did not allow for the launching of these works. In 1930, Soviet engineers drafted a railway project from Kherson to Poti also through this section, but the Great Patriotic War hampered this, Putin said. He also said that during the Great Patriotic War "the occupants were already building a bridge here and wanted to build not a temporary, but permanent facility, and the Russian command decided not to bomb this area in order to preserve what has been done." After the war a temporary bridge, which was smashed by an ice drift, was built there, the president also said. "Our predecessors understood the importance of this bridge crossing between Crimea and the Caucasus and sought to implement this project long ago. 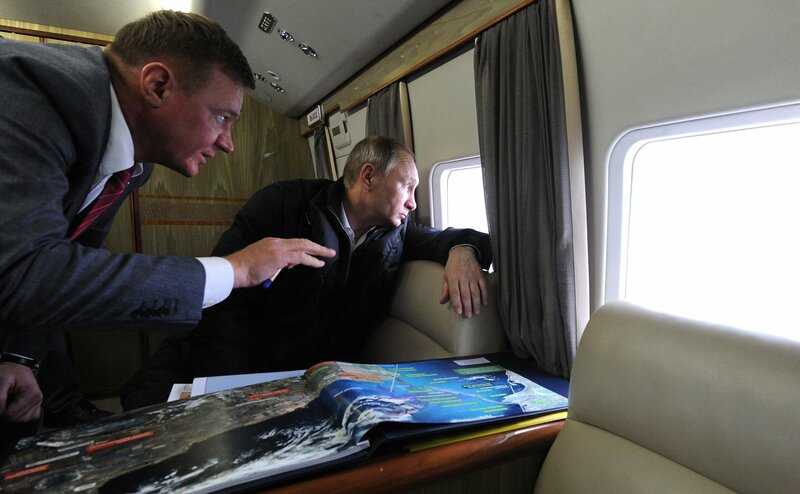 We will hope that we will fulfill this historical mission," Putin said.